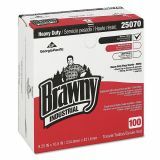 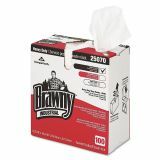 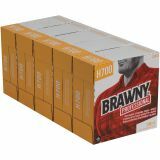 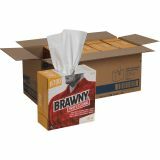 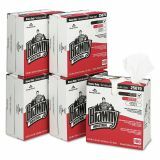 Georgia Pacific Brawny Professional Medium Weight HEF Shop Towels, 9 1/10 x 16 1/2, 100/Box - Premium, folded wipers come in convenient dispenser boxes. 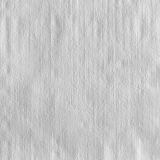 Multiuse wiper (ultimate wiper to replace rags) is low lint, chemical-resistant and abrasion-resistant while offering a good absorption rate. Wipers are good with oils and water-based solvents since there are no binders used.